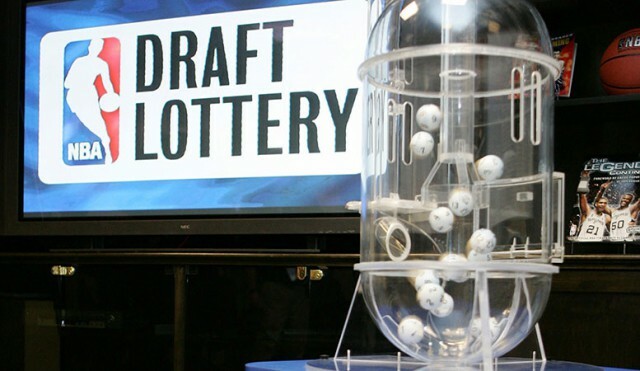 The NBA Draft Lottery is an annual event in which the 14 teams that failed to make the playoffs in the National Basketball Association determine in which order they will draft players. In every other sports league there is no lottery, the team with the worst record drafts first and it proceeds in reverse order from there. Why does the NBA do this? Particularly with the potential for accusations of impropriety all but inevitable. In the lottery system, the team with the worst record has a greater chance of drafting first, but an element of randomization makes it entirely likely this does not come to fruition. In fact, the team with the worst record has drafted first only seven out of 33 times. The team with the second worst record has drafted first four times while the team with the fifth worst record has drafted first five times. In this year’s draft the Los Angeles Lakers ended up with the second pick, which is in line with their record for the season. Even with this statistically probable outcome, people are outraged. It is considered extremely likely the team will select a young player named Lonzo Ball. Ball is from the Los Angeles area and it was widely speculated the lottery would be rigged to have the Lakers draft second. This is not the first time such accusations have plagued the league. The very first draft lottery was in 1985 and the New York Knicks were awarded the first choice despite finishing the previous season with the third worst record. They selected Patrick Ewing. This was widely considered to be what the NBA desired and the league has been beleaguered by insinuations of foul play in the lottery ever since. Certainly, the days up to the lottery are filled with speculation about which team will draft where and on the day of the draft there is a special television show. This is no different than it is for the NFL and, to a lesser extent, the other professional sports leagues. So why does the league persist with the lottery? In essence it unfairly both penalizes and rewards teams for their actual finish in the league standings. It gives rise to conspiracy theories of all kinds which the league must battle. I’m honestly not sure what is the answer. In reality I think the entire draft is a shady process. Should not every young athlete have a chance to negotiate with any team that desires her or his service? I suppose that’s an argument for another day. Does anyone else have a theory why the NBA uses the lottery system? It’s beyond me.